Wege Prize is an annual competition that ignites game-changing solutions for the future by inspiring college/university students around the world to collaborate across institutional, disciplinary, and cultural boundaries to redesign the way economies work. Participants contend for over $30,000 (USD) in total cash prizes, all while helping to show the world what the future of problem solving looks like. College/university students from all over the world will compete in transdisciplinary teams of five, representing different academic disciplines and different academic institutions. Both undergraduate and graduate level student are eligible to compete. 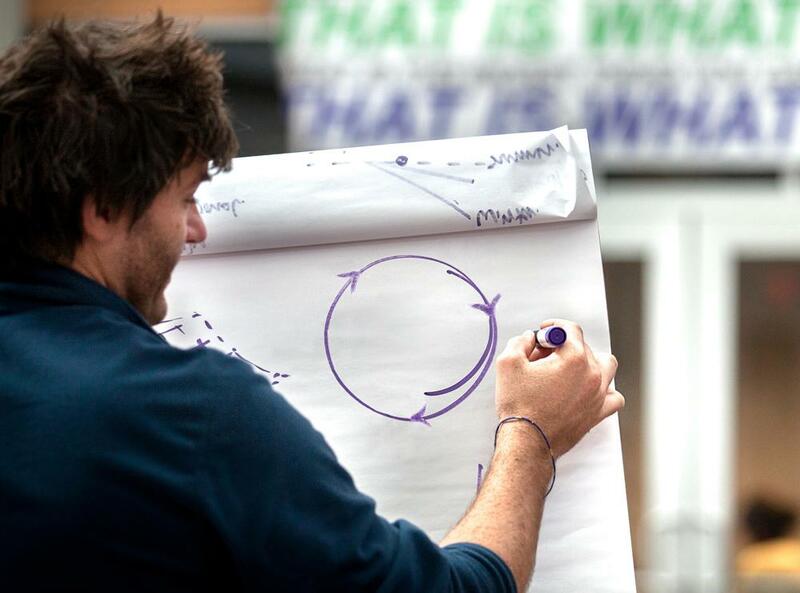 How can we create a circular economy? Each team must leverage its transdisciplinary makeup to collaboratively design and propose a product, service, business/non-profit organization, or other solution to a wicked problem that can help us transition from a linear economic model to a circular economic model. The economic model of extract-manufacture-disposal relies on vast reserves of expendable resources and an environment that can absorb unlimited waste. But simply reducing waste and the consumption of limited resources is not enough. A circular economy is one that is restorative by design, and which aims to keep products, components, and materials at their highest utility and value at all times. A circular economy provides a tightly looped, restorative economic cycle where resources can be re-adapted for use without limiting the desirability of products or the flow of revenue. In 2009, Dame Ellen MacArthur created The Ellen MacArthur Foundation, a non-profit organization with the aim of inspiring a generation to re-think, re-design & build a positive future through the framework of a circular economy. The Foundation has a wealth of resources you can utilize to get up to speed on the ideas, practices, and terminology behind the big idea of the circular economy. The video 'Re-Thinking Progress' from The Ellen MacArthur Foundation explores how through a change in perspective we can re-design the way our economy works.